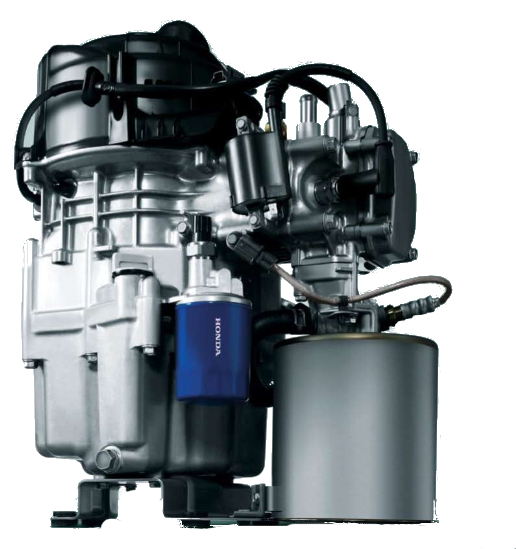 Internal Combustion (IC) engines are similar to vehicle engines modified to run on natural gas or compression-ignition diesel. These systems primarily use spark-ignition engines to provide the motive power. They offer mid-range performance of 20-40% electrical efficiency, but 1kW domestic models can only operate at a fixed output rather than following the demand of the property. The heat produced is usually hot water, rather than steam, and they generally produce 1 to 2 units of heat for each unit of electricity, with the ratio of heat to power generally decreasing with size. These mCHP systems are best suited for smaller sites where the demand for electricity is reduced and the requirement for heat and hot water is high. 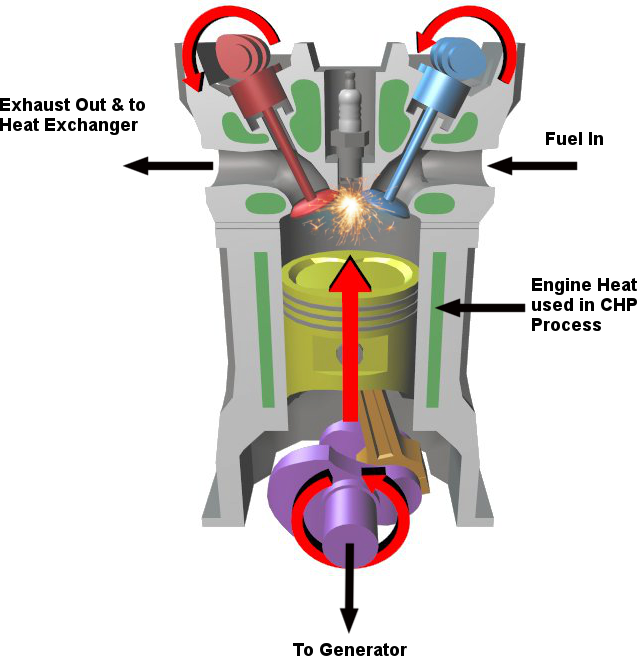 Gas-Internal Combustion Engine (Four Stroke). Thermal output 2.5kW with efficiency of 65.7%, electrical output 1Kw with efficiency of 26.3% and a total efficiency of 92% (Nett cv).